You can design how your invoice looks here. You can add a company address, logo, and some additional information in the invoice. You can also show various order information by adding the short tags. The tags will be replaced with relevant information from the order table. The constant's value has short tags and html. You can override the text by writing a language override. The following points reveal the process of an invoice template. The title of the template. You can have as many templates as you like and hence it necessary to give a unique title to each and every template. 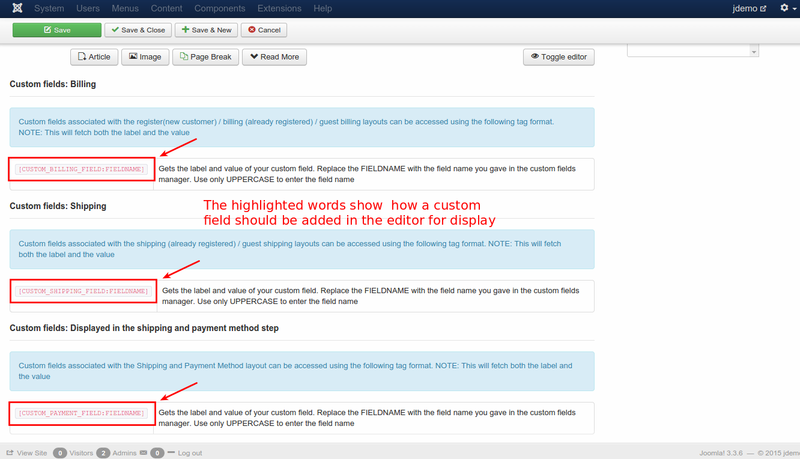 Invoice will be generated based on the order status only. To generate an invoice, the orderstatus should be 'COMPLETED'. Here you can select for which particular language this template can be used or for all the languages. This states that which group can generate an invoice for e.g., groups like Administrator, Manager, Editor etc. can be able to generate invoices whereas public and guest user groups can not do so. This can be determined using this field. This defines the payment methods that are accepted for selling. Some payment options may not be accepted by some sellers and they may wish to avoid those options. For that it has been enabled to select the options from the available list. For a template to be used for invoicing, it has to be published prior to that. This field will notify that status. In advanced settings, we have the invoice content. The content of the invoice can be designed here. You can include a lot of information. There is a rich text editor to neatly customize the content. Using the short codes, you can add customer name, order no, order date, payment details, shipping details, product details etc. This is can be accomplished by adding suitable tags listed in the extreme right area of the page. Check the image below for how an invoice template can be designed for our needs. This is for example purpose only and the user can design his/her own template. How to add custom fields in invoice template? How to create template override for items table showing in the invoice ? If you would like to customize the order item table showing in order invoice, that could be possible by creating template override. 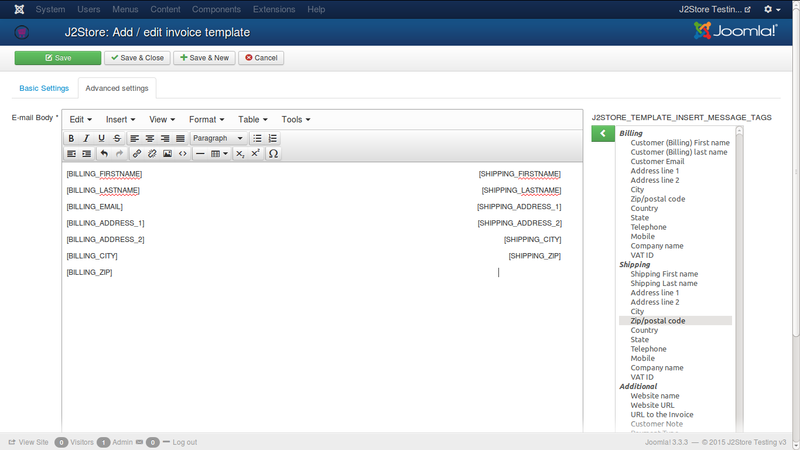 Carrying out customizations through template override will not overwrite the changes if you update it in future.